You'll be £9.50 closer to your next £10.00 credit when you purchase Historical Research Using British Newspapers. What's this? Thanks to digitisation, newspapers from the seventeenth to the twenty-first century have become an indispensable and accessible source for researchers. Through their pages, historians with a passion for a person or a place or a time or a topic can rediscover forgotten details and gain new insights into the society and values of bygone ages. In addition nine case studies are included, showing how researchers have already made productive use of newspapers to gain insights that were not available from elsewhere. helpful advice to those wishing to use newspapers for historical research. An invaluable reference work for historians who wish to unearth new family, social, economic and political historical information and seek advice on how to analyse and interpret. For those requiring guidance from an academic perspective this book has a great deal to offer. The author provides much practical information and advice for those wishing to use these resources, and where and how to find them. In recent years more and more people are undertaking some form of historical research, usually so that them may develop their family tree and discover more about the period they were from. In recent times more and more archives are digitising their records and making them available online, some charge others are free. This wonderful little volume by Denise Bates explains how to use the British Newspaper as an aid to historical research, it may seem rather narrow but there are some excellent tips. While explaining the development of the newspaper industry in Britain along with what is call the news chain and content of older newspapers. She also covers the factors a researcher must take in to an account while researching, which has always been a factor. For me some of the most interesting chapters were those covering the use of modern technology to aid your research. To those with a history degree these tips on data handling techniques would seem rather basic, but to a layperson I believe are necessary. What is an excellent tip, is the use of spreadsheets for data handling and recording during historical study. Both the good and bad points of using spreadsheets are laid before you for you to make up your own mind. This excellent guide to the increasingly accessible source of contemporary newspapers, is essential for all types of historical research, from family history to academic study. The book opens with an extremely useful introduction to all aspects old newspapers, including the history of specific titles and the processes of publication. The reader is then guided through the different uses of this rich resource within a range of research activities, with practical tips and advice, clear instructions and interesting case studies. This book charts the evolution of the British Press since the 17th century, sign-posting the titles that are most helpful for researching particular classes of society or topics of study, and contains plentiful tips for getting the most out of online searches, and where to look if a newspaper isn't online. Historical Research Using British Newspapers is a prime providing plenty of practical information and advice for anyone using old newspapers as part of their research. Denise explains everything from identifying the best newspapers for the sort of information you want demonstrating techniques for gathering, sorting, analysing and interpreting one's information. Whether you're a seasoned researcher or dipping your toe into old newspapers for the first time, there is lots of valuable information here to help you on your research journey. Formerly, researchers who wanted to explore the past using historical newspapers faced many hours scrolling through microfilm, or handling large, fragile publications with columns of tiny print. Now more and more old newspapers are available online in digitised form, and Denise Bates shows us how to use this exciting resource to best effect, as well as newspapers only available in print form. The author discusses the history of newspapers and potential problems with class, political or social bias. 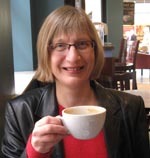 She explains how to sift through the evidence, and combine newspaper reports with other historical sources, with the aim of achieving a balanced perspective on people’s lives and historic events. Historical Research Using British Newspapers includes many tips on how to organize and save your research, which will prove helpful to new and experienced researchers alike. There’s a useful section on statistics and data handling techniques, too. A particular strength of this book is the number of case studies and worked examples from true-life stories. During the course of my own genealogical research into my own family, there have been times when sites like Ancestry and Find My Past have turned up newspaper articles about certain family members. It is often the case that looking at a census form (with 1911 the most recent available census, which is a national scandal, never mind the fact we have to pay to look at research that really belongs to us!) simply doesn't provide enough material. 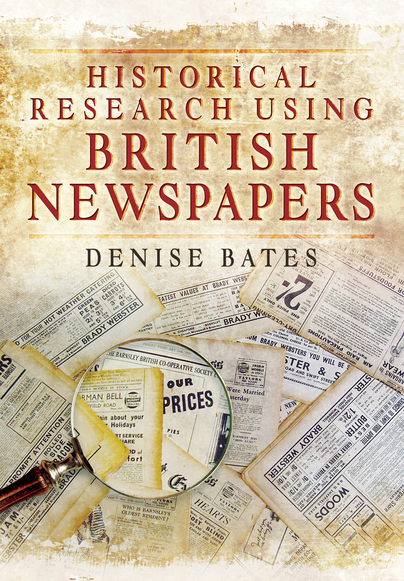 Almost everyone will have a family member who has been mentioned in the local or sometimes national newspapers - Denise Bates gives clear and concise, practical instructions on how to research newspapers in this superb book from Pen and Sword. ...This wonderful little volume by Denise Bates explains how to use the British Newspaper as an aid to historical research, it may seem rather narrow but there are some excellent tips. While explaining the development of the newspaper industry in Britain along with what is called the news chain and content of older newspapers. She also covers the factors a researcher must take in to an account while researching, which has always been a factor.